4 Best Dark Spots Removal Creams in Pakistan.Dark spots are the absolute pain for the person who is suffering from this issue. Due to dark spots, your skin look will be unhealthy and aged. And it’s impossible to cover acne scars with the help of makeup. These spots can become frustrated in some situations. 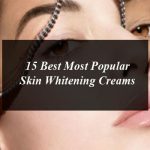 There are some best dark spot removal creams in Pakistan that brighten each of your dark spots & also bounce and rejuvenate back your facial beauty. Fair and lovely for acne prone skin is the best dark spot removal cream in Pakistan. Acne or a pimple normally leave behind the mark that as they damage your skin cells, however, acne scar occurs due to the accumulation of melanin. But the main thing is that both of them are extremely deep rooted with the skin layers. To solve these issues effectively you must need to target the right product to remove dark spots. 100% proved that Fair & Lovely Anti Marks Treatment is the revolutionary formulation that targets the spots, pimple marks, and dullness while giving you fair, bright and radiant skin. With the targeted action of Fair & Lovely Dark Spot Removal Cream marks or spots not removed only from the surface but also from their roots. Cleanse your face and neck then apply Fair & Lovely Anti Marks Treatment in the form of dots, gently blend with the help of finger tips. As it is not just a simple cream, in fact, it is an anti-marks treatment. Oriflame Optimals Even out Day Cream in Pakistan is an effective formulation that helps to reduce the acne scars and also prevents your skin from further darkening and provides a protection from harmful UV exposure. This acne spot removal cream in Pakistan contains SPF20 to protect your skin from further darkening and sun damage. It also helps to inhibit the production of melanin. Oriflame Optimals darks spot removal cream makes your skin tone better, and also reduces the appearance of dark areas. It is the best acne spot removal cream in Pakistan that is also suitable for all type of ages. Cleanse your skin and apply the Oriflame Optimals Even out Day Cream in the morning time. Himalaya Herbals offers 100% natural and safe products. Himalaya Clarina Anti Acne Cream is one of the best dark spot removal creams in Pakistan that controls pimples and acne and makes your skin softer. This acne spot removal cream is enriched with the Silk Cotton Tree with the help of its cooling and astringent properties control a pimple and acne & also prevents you from future breakouts. It also contains five leaved chaste tree that reduces the skin inflammation. Aloe Vera softens and heals your skin. Cleanse your face & neck then apply Himalaya Clarina anti acne cream on a dark spot and inflamed areas. Use it twice a day within a week your spot will heal completely. Ponds Clarant B3 dark spot correcting cream is considered as one of the best dark spot removal creams in Pakistan and is the most popular product that reduces dark spots and makes skin tone better. It contains high-quality ingredients like Vitamin B3 & C. it is suitable for all skin types but is excellent for dry skin. Ponds Clarant B3 dark spot correcting cream is excessively used among the females in Pakistan. It has zero side effects; in fact, you’ll get excellent results within 10 days of use. This dark spot removal cream in Pakistan makes your skin tone fair, bright and radiant. Cleanse your face and neck & then apply Ponds Clarant B3 Dark Spot Correcting Cream regularly in morning & evening. Best Dark Spots Removal Creams in Pakistan that bounce and rejuvenate back your facial beauty. 4 Best Dark Spots Removal Creams in Pakistan.